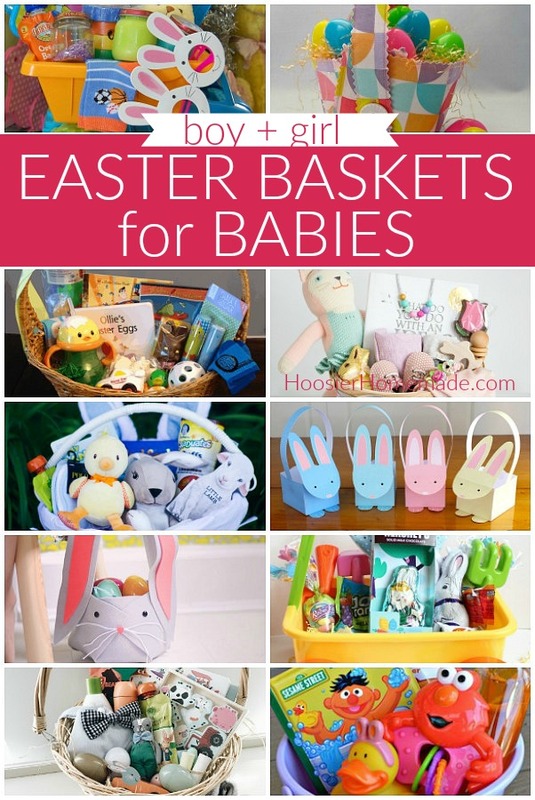 Whether you have a small amount of time to put together an Easter basket, or would like to make your own basket, you are sure to find what you are looking for in this post. 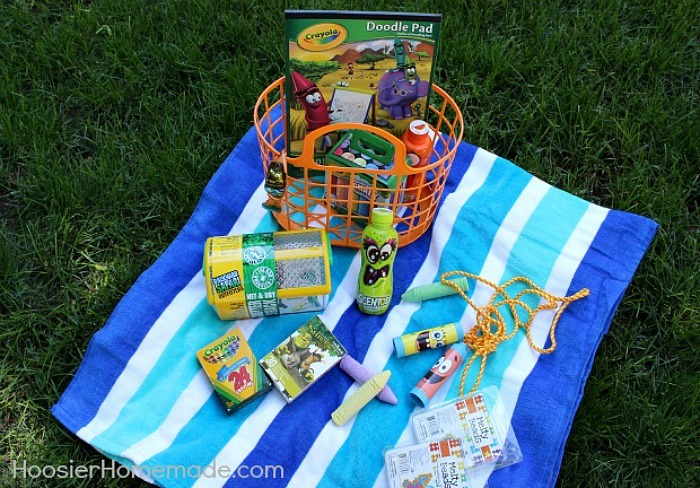 These Easter Basket Ideas are full baskets – not stuffer ideas. It’s great to be able to see the basket put together. 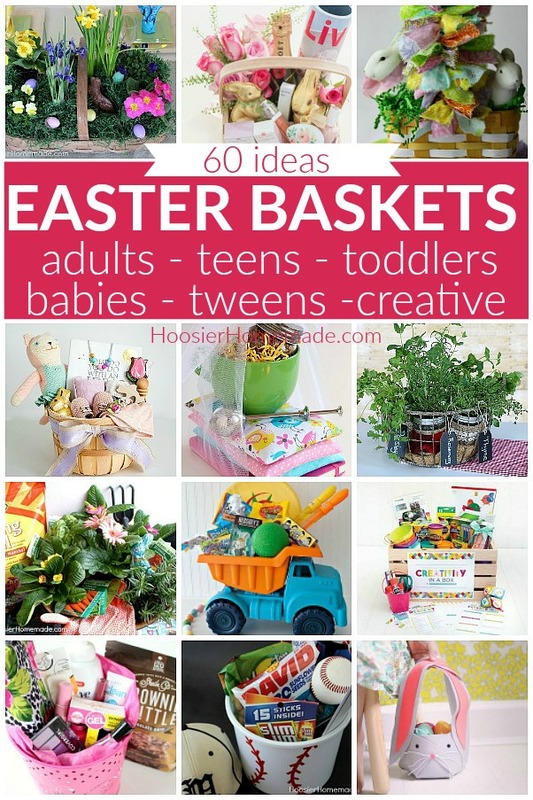 And there are 60 Easter Basket ideas for you to choose from. 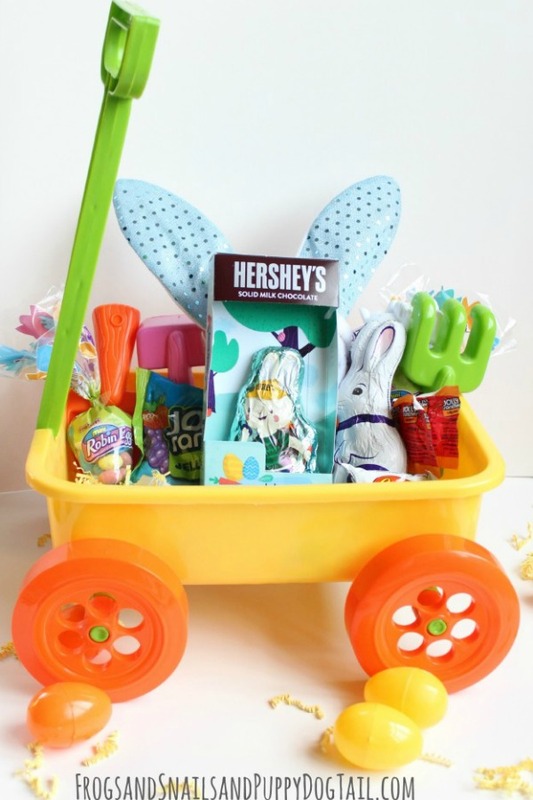 You are never too old for an Easter basket. 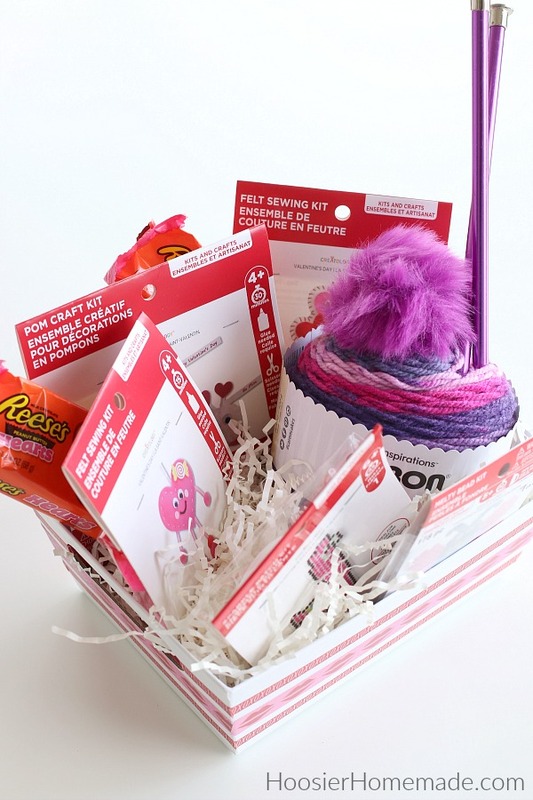 Whether you have a spouse, parent, friend or just someone you would like to give a basket to, there are easy and fun ideas for you to choose from. Do you have a sports fan on your list? 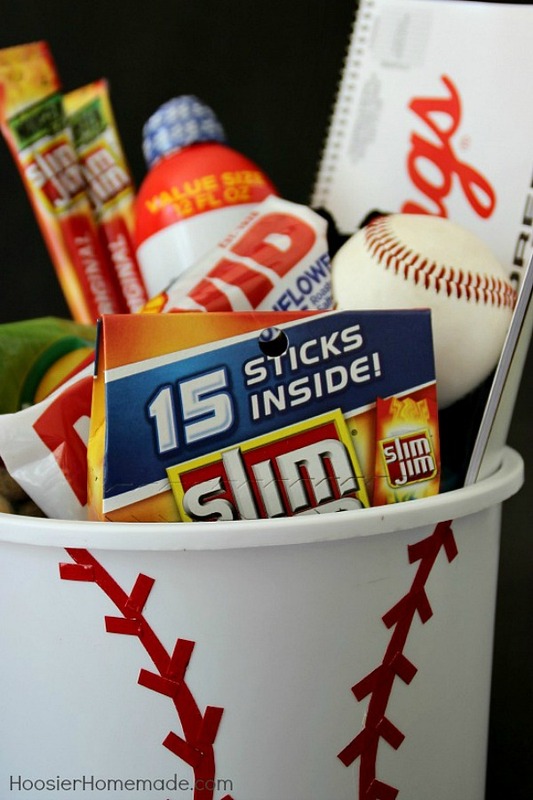 This Sports Themed Gift Bucket is sure to please the Baseball Lover in your life! 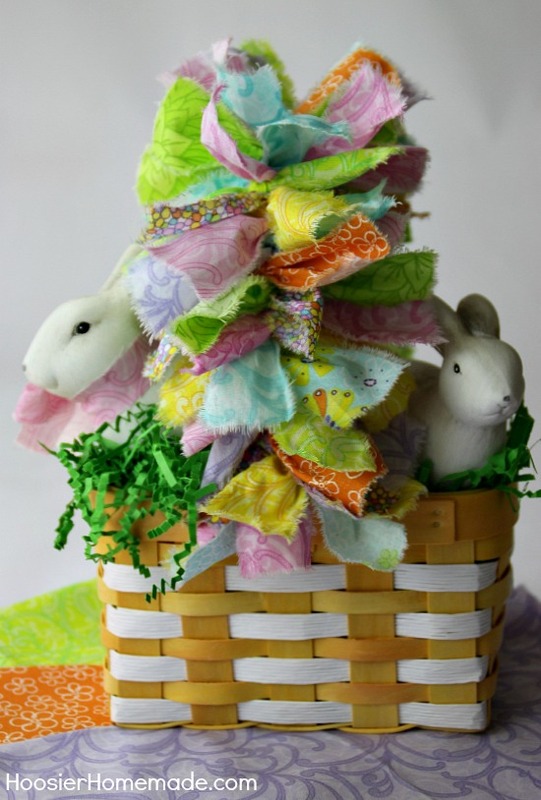 Easter baskets come in all shapes and sizes, and using your creativity to fill them is part of the fun. 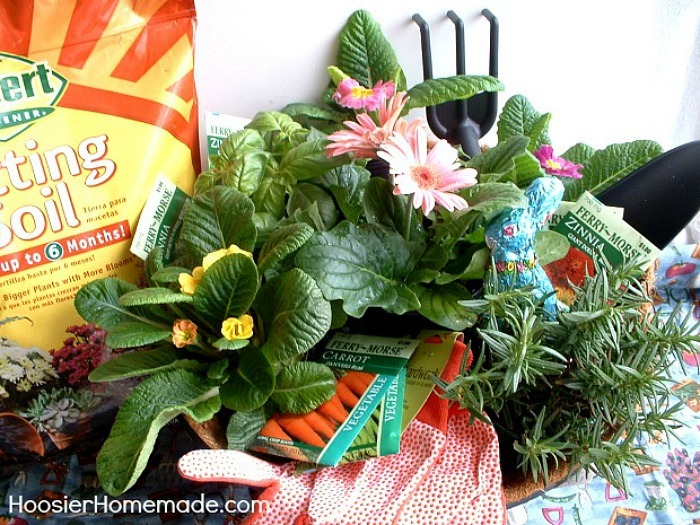 Wouldn’t the special Gardener in your life be thrilled to receive this Easter Basket? 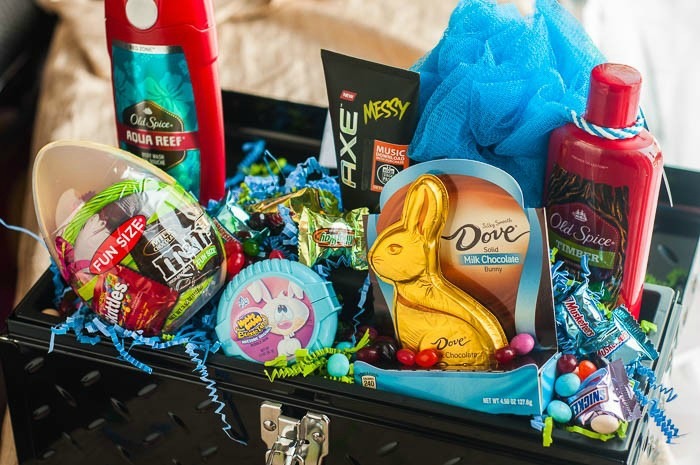 Wouldn’t you love to receive this Easter basket? Lucy from Craftberry Bush shows you how to fill it and make it gorgeous! 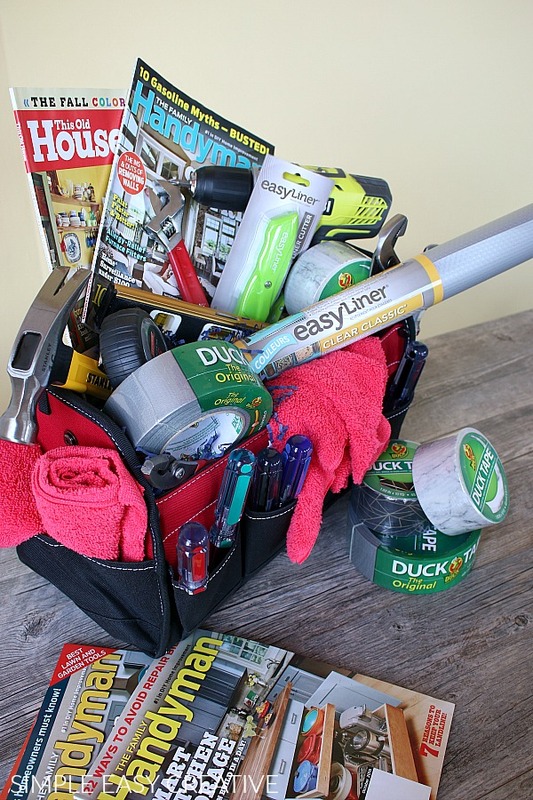 Think outside the box – or basket – and create something fun for the man in your life using a tool bucket! 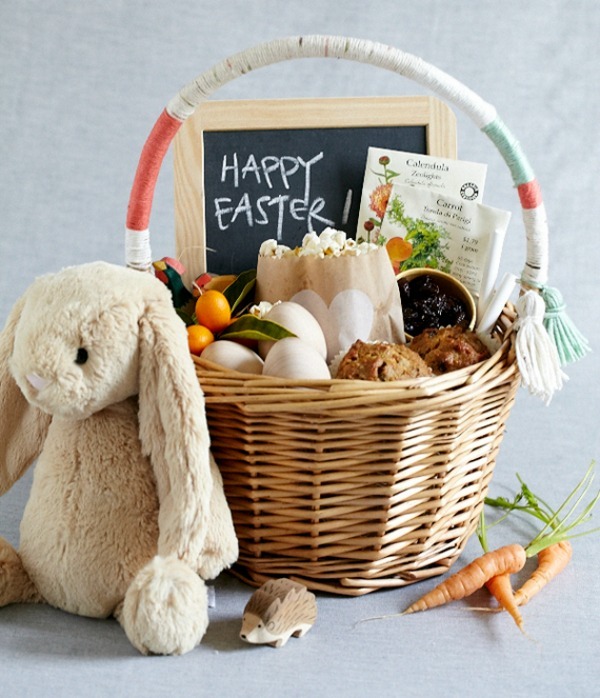 Or maybe you need something a little smaller – this Easter Basket can be filled with any special items, and for any occasion too! 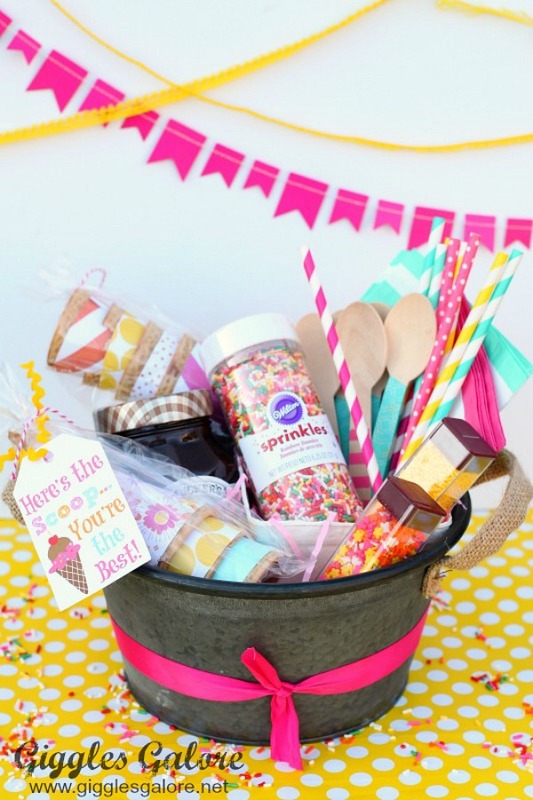 I bet there isn’t a single person that you know that wouldn’t love this fun Ice Cream Basket from Giggles Galore! 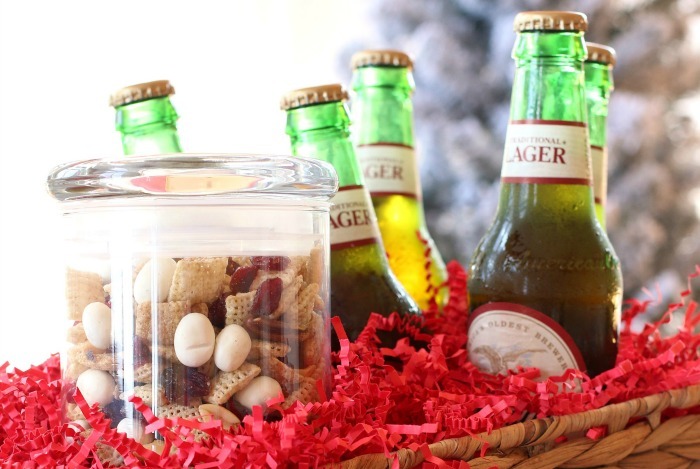 Show your love to the craft lover in your life with this easy to make Gift Basket. 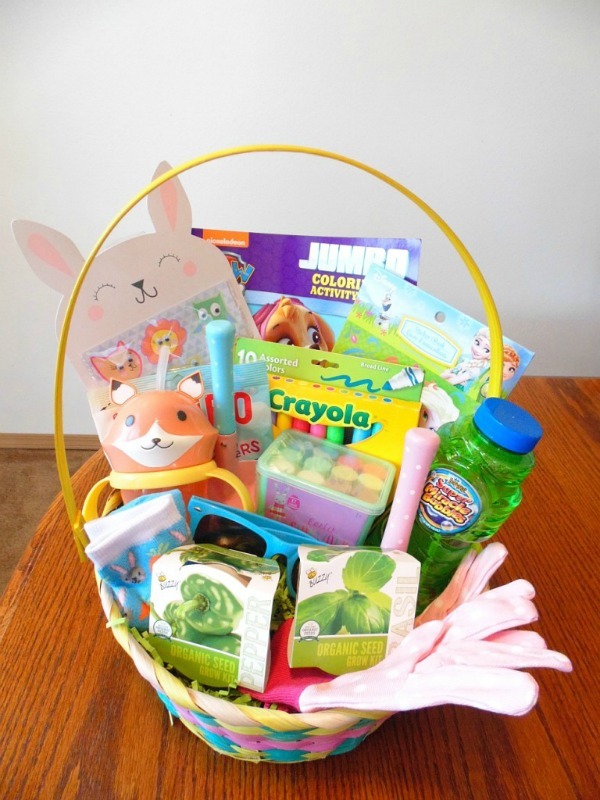 All you need are a few simple supplies to decorate the basket, then fill with their favorite craft kits and supplies. 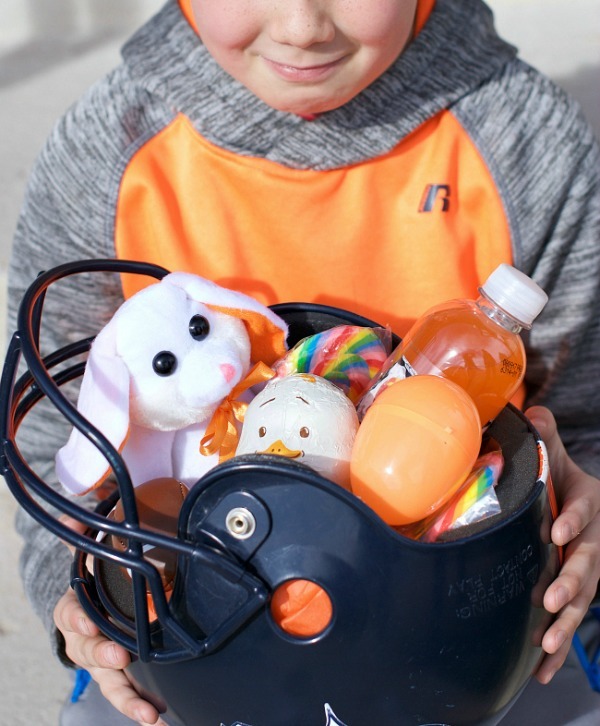 Add their favorite drink and snack mix to a basket – and maybe some Easter candy – for a quick and easy Easter basket idea! 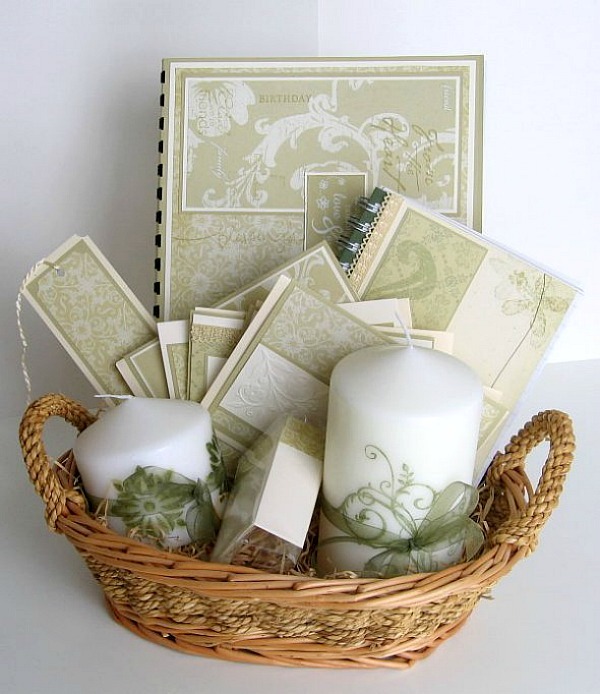 This basket filled with stationery items and candles is sure to please that special women in your life. Toddlers are such a fun age – active and hard to keep up with – but really fun! 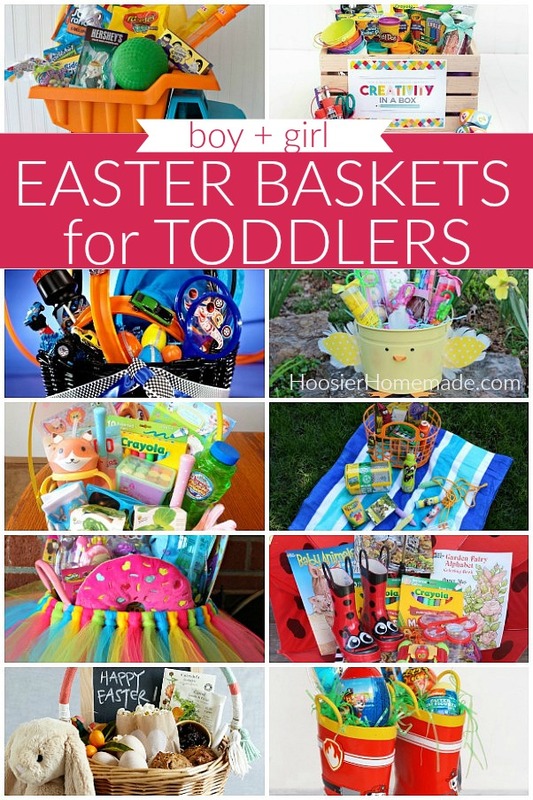 These Easter Basket Ideas for Toddlers – boys and girls – can be put together quickly. This adorable truck from Making the World Cuter sure would be a hit with any toddler! It’s filled with lots of fun to keep them happy. 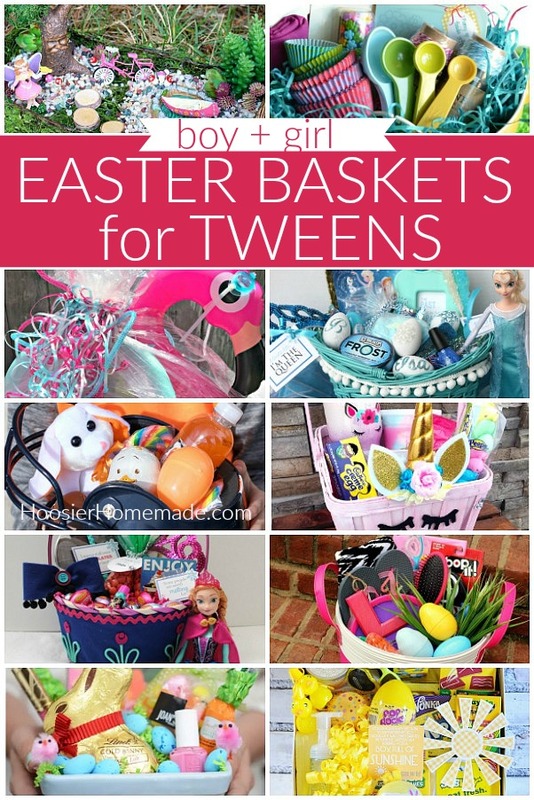 Not only would this basket be so fun for Easter, you could use it any time of year! 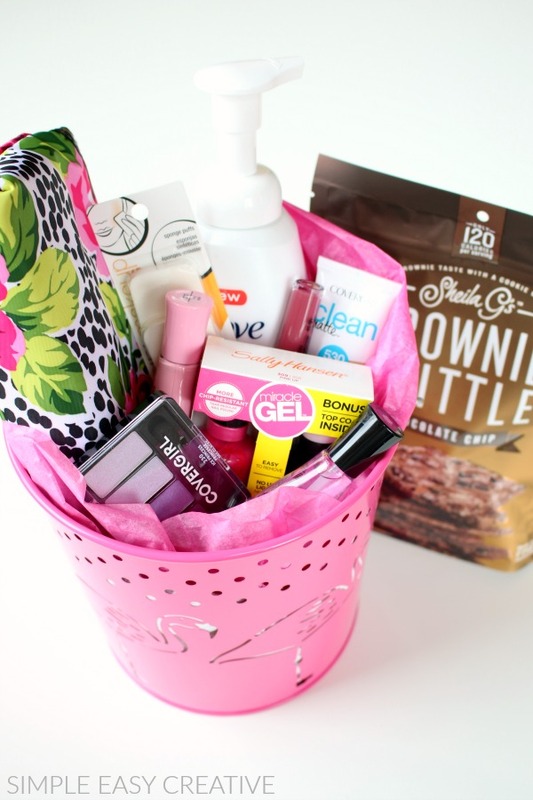 The Dating Divas has printables to go with the basket! 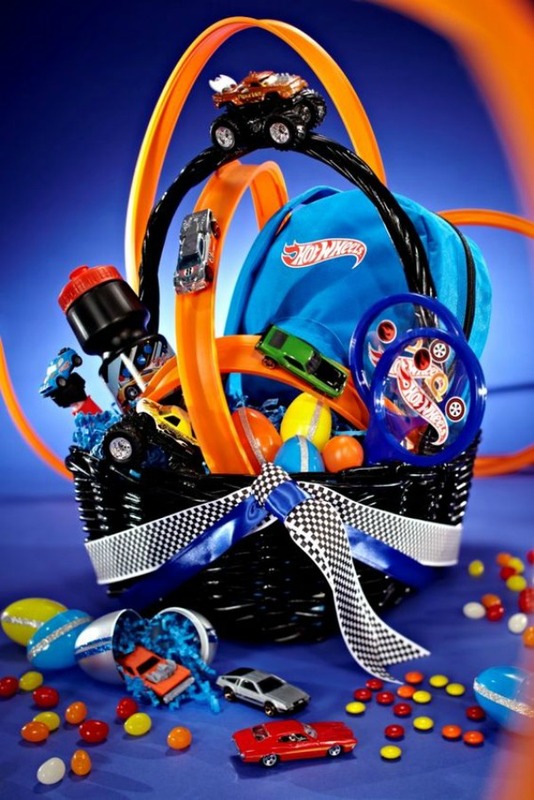 I bet even by older boys would love this Hot Wheels Easter Basket. 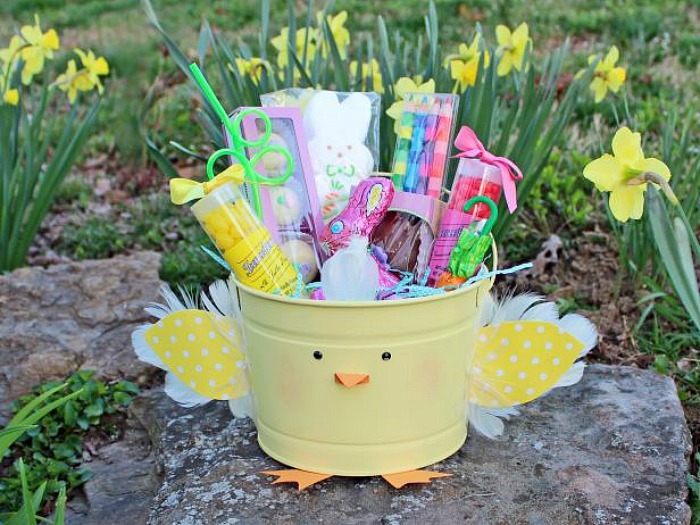 Learn how to make this adorable Chick Easter Bucket from HGTV – then fill it with fun items for your little one! Summer and nice weather will be here before you know it! 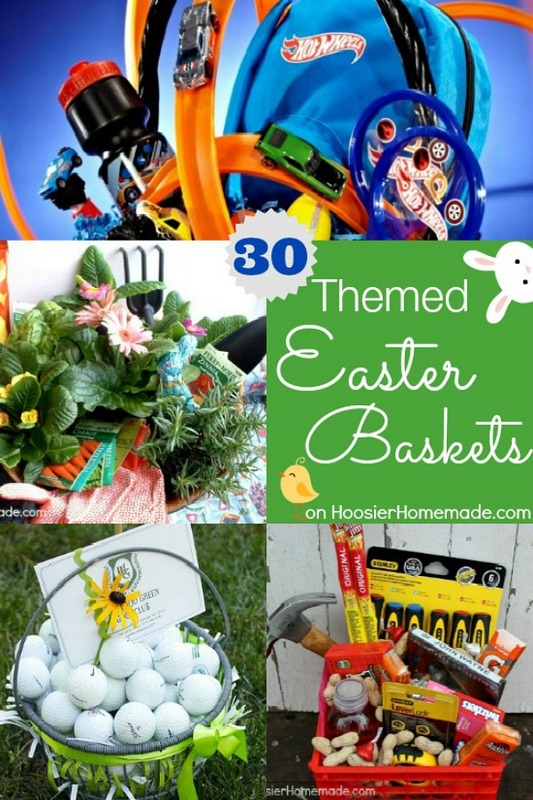 Create one of these Easter baskets and enjoy being outside! 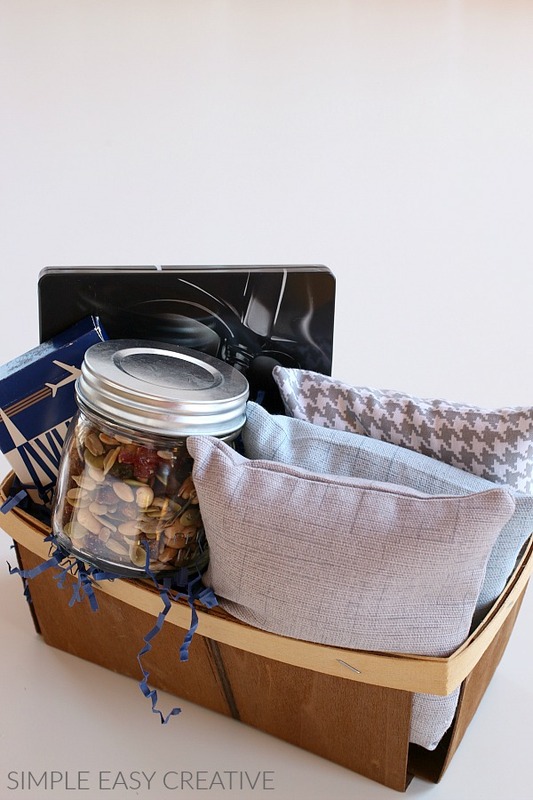 Keep it natural and healthy with this fun basket from 100 Layer Cake-let. It’s filled with wooden eggs and healthy treats. 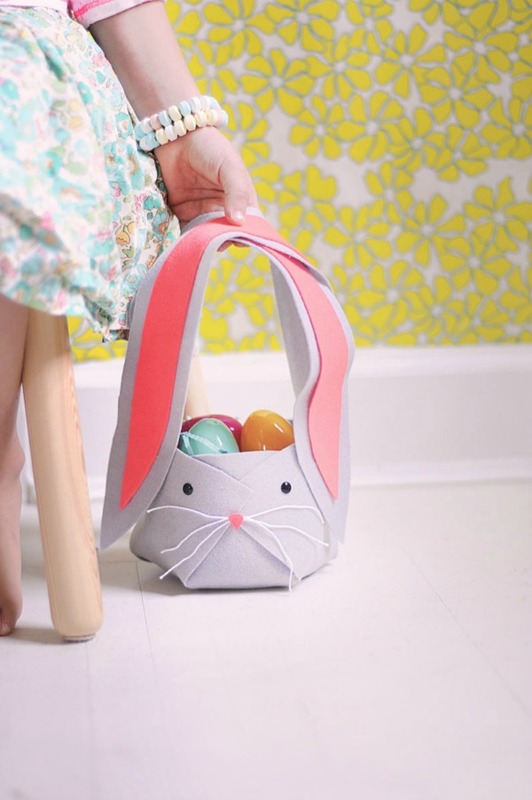 This cute Easter Basket for Toddlers has ideas that aren’t candy. Empathy Encompassed has 101 ideas for you! I don’t know about you, but teenagers are often so difficult to buy for, especially boys. 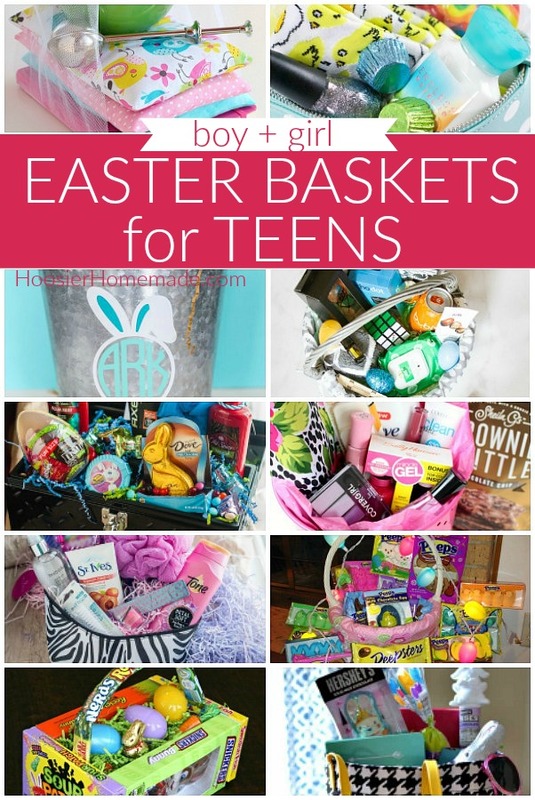 These fun Easter Basket ideas for Teenagers will have them excited. 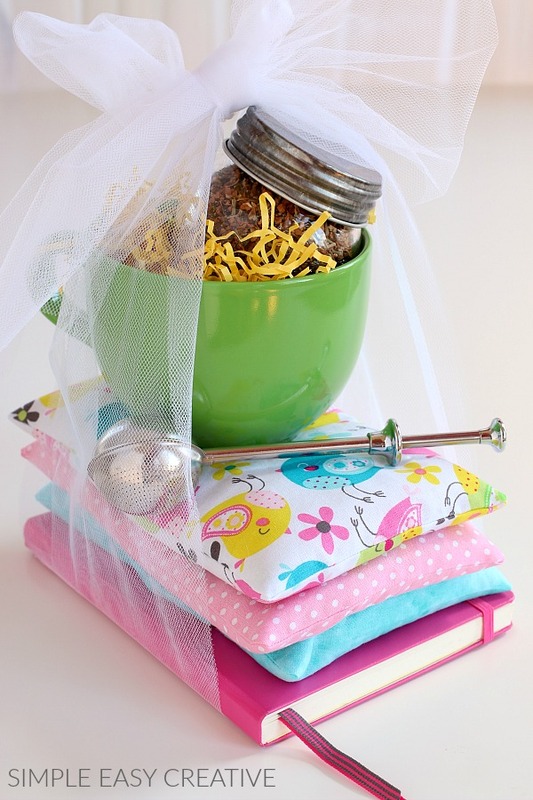 Pair these easy to make Heat Packs, with a journal, and their favorite beverage for a one of a kind Easter basket! 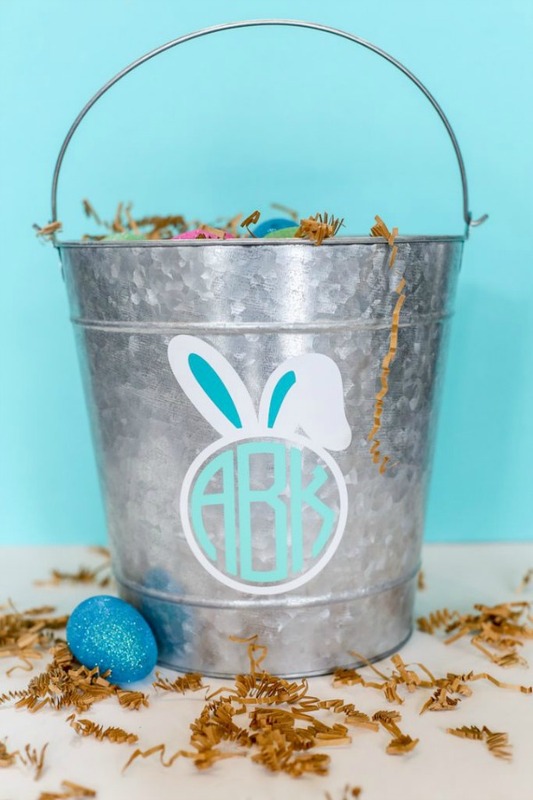 Make your own Easter bucket with instructions from Sugar Bee Crafts! Great for boys or girls. No time to create your own bucket? 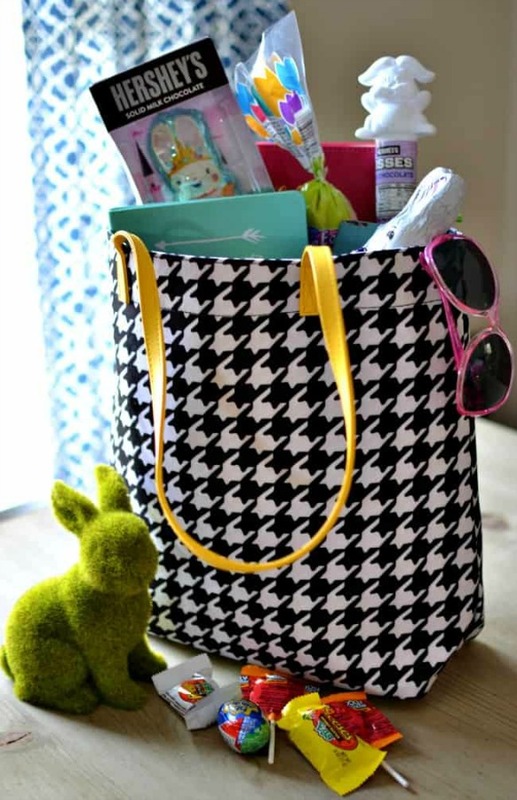 Grab a fun one with a design on it – add a makeup bag, makeup, lotion and snacks for a quick and easy Easter Basket for Teenage Girl. Or for a smaller idea, add the makeup to the bag. Fun Squared has darling ideas. 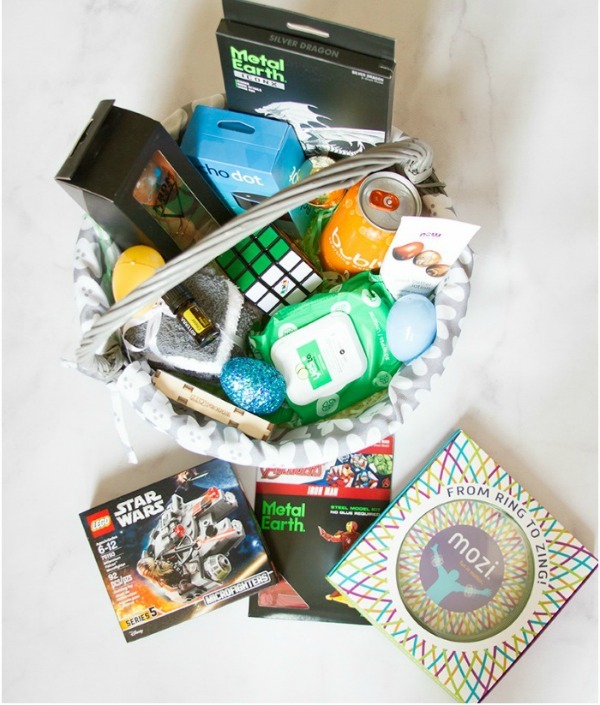 I bet any teen – boy or girl – would love this Easter Basket shared by Busy Mommy Media. 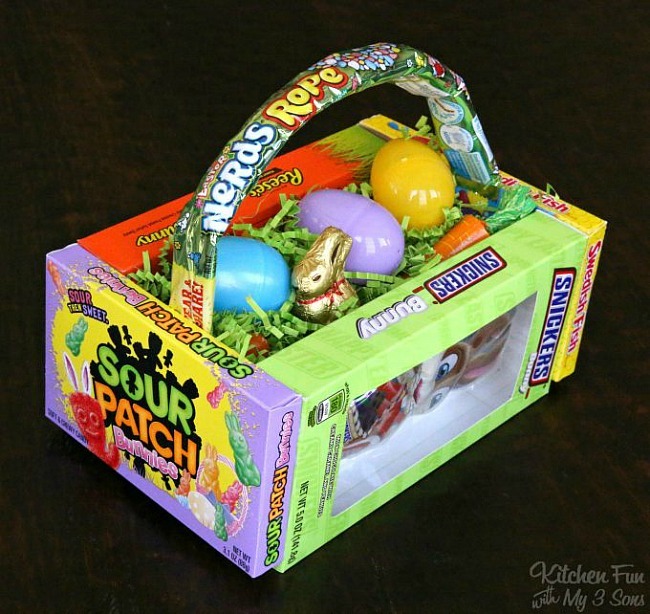 How about an Easter Basket that is made with candy? Kitchen Fun with my 3 Sons shows you how to make it. Or create a Peeps Basket from Outnumbered 3 to 1 for that Peeps lover in your life. This cool Easter basket for teenage guys is in a tool box! How fun! My Serendipity Life shows you how to put it together. And she has a fun Makeup Bag for girls. 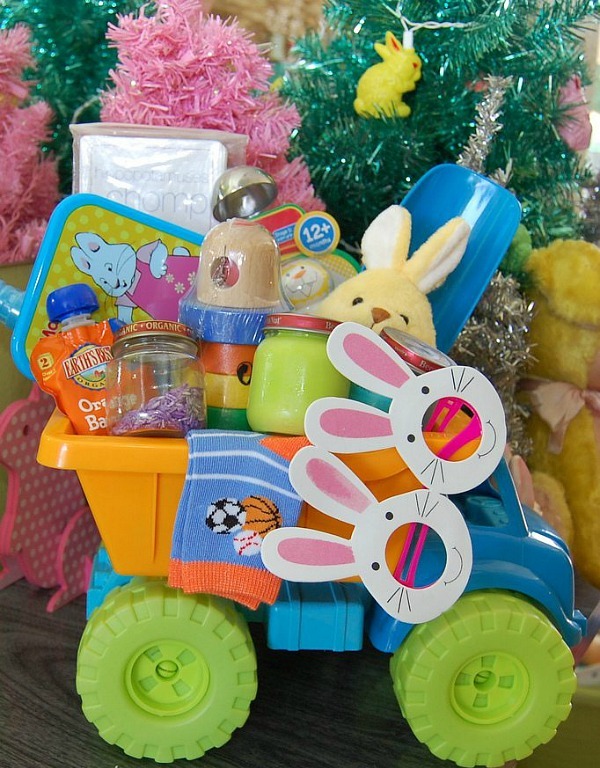 Soft bunnies, tub toys are more are fun items to add to Easter baskets for babies! 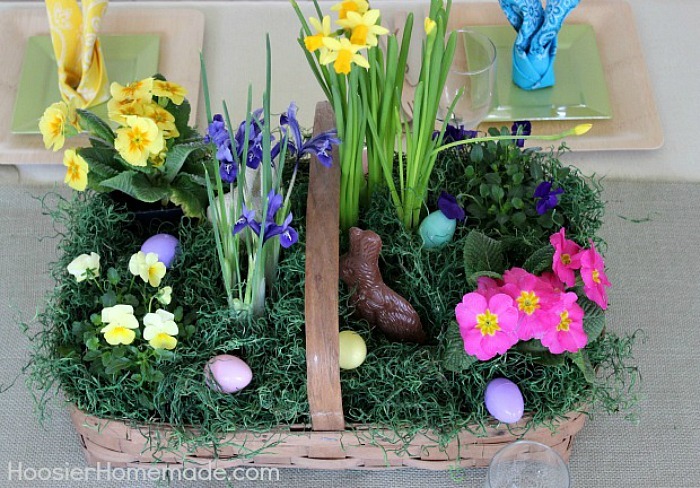 Create this homemade Easter basket and have it for years to come. Shrimp Salad Circus has the instructions. 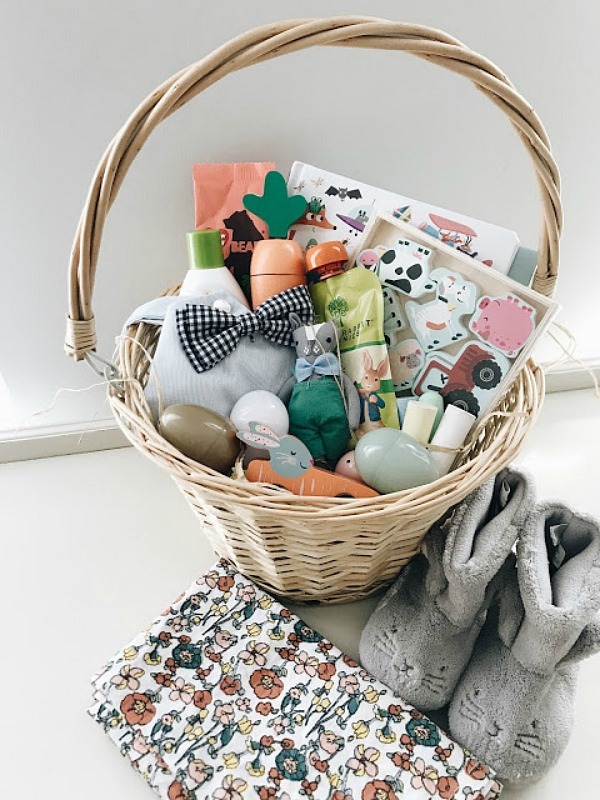 This basket is filled with soft, darling items. Shared by Simply Stitched – and she has a few more to choose from to. 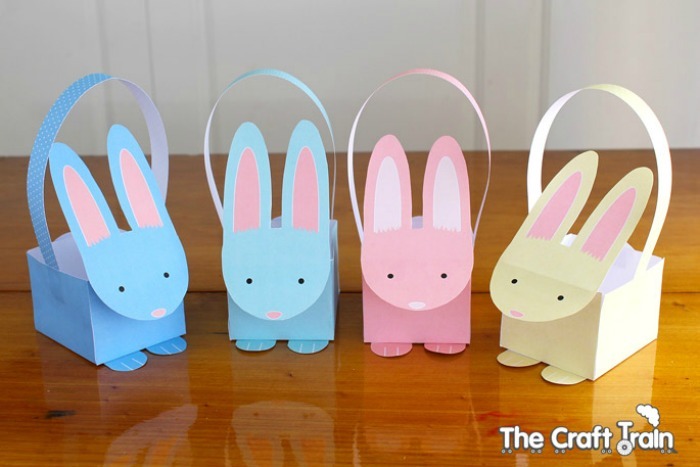 These adorable printable bunny baskets could be filled with just about anything you want. The Craft Train shares the FREE Printable for you. 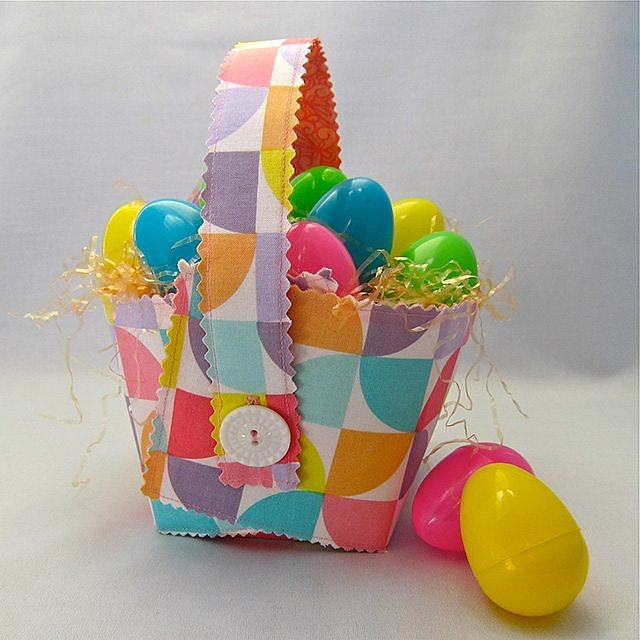 This no sew felt Easter bunny Basket from Etsy Blog looks so fun to make. 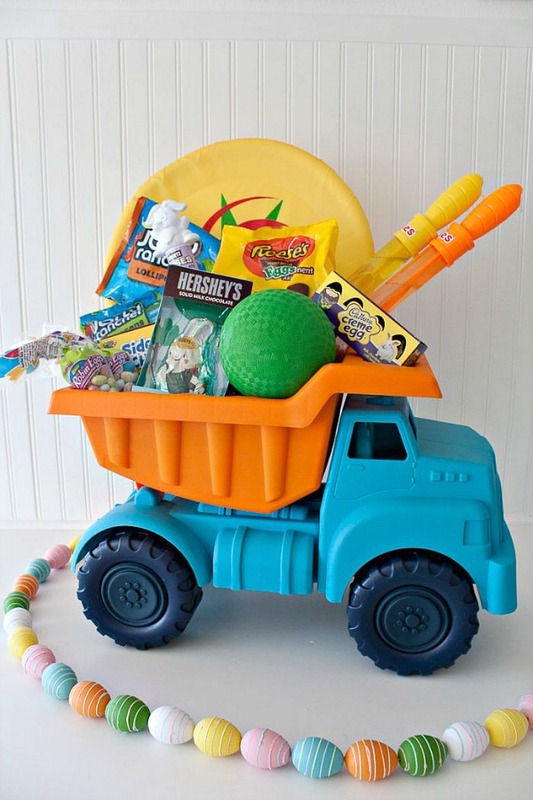 Or fill a bucket with tub toys – The Resourceful Mama has several low cost ideas. This soft and cuddly basket from The Olive June is simply adorable. 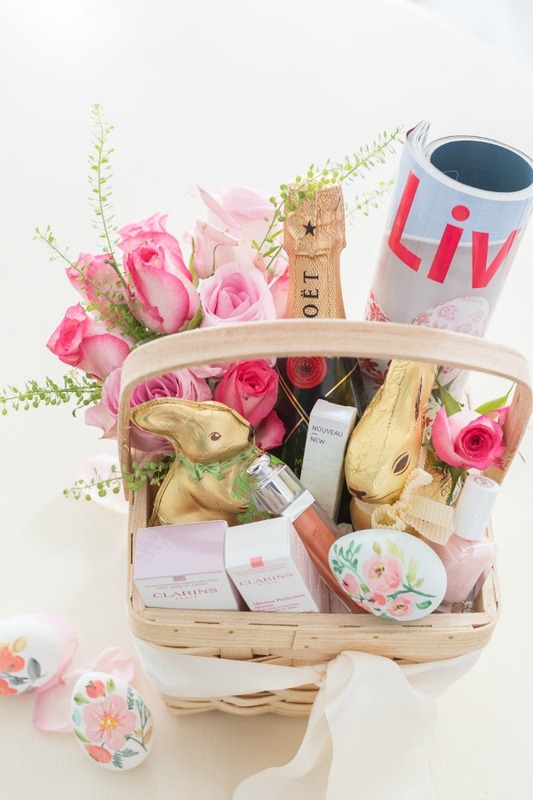 Getting creative with your Easter baskets doesn’t need to take a lot of time and energy. 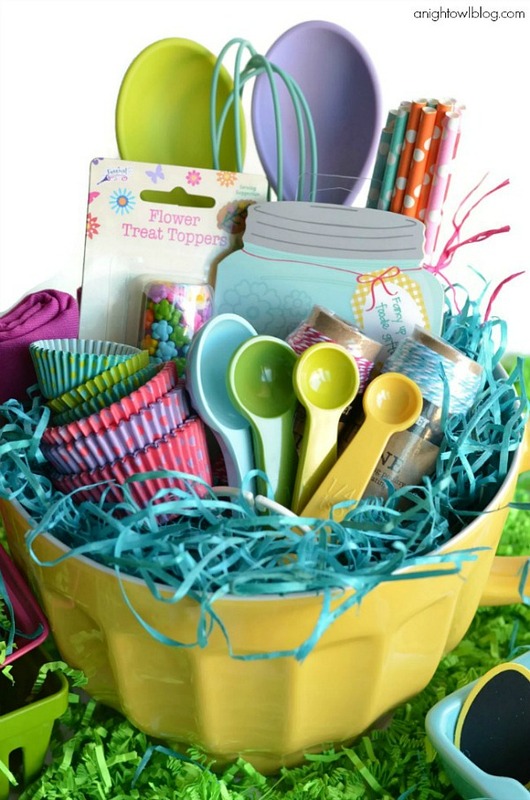 These Creative Easter Basket Ideas will help. Add flowers and a little candy to a basket for a table centerpiece. You can keep it for yourself or take it as a hostess gift! Add fabric ties to a basket for a splash of color. Then fill with bunnies or candy. 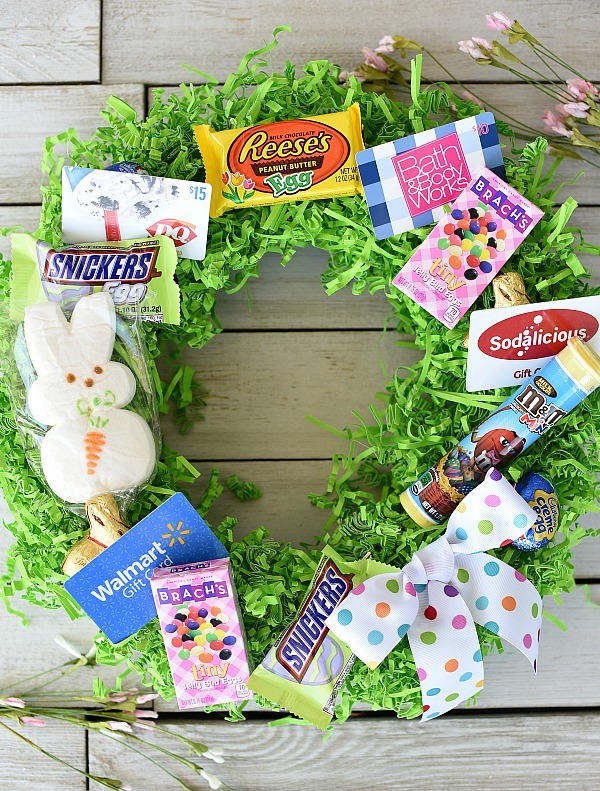 How fun is this wreath? Fun to make – fun to give! Fun Squared shows you how to make it. Do you have a cook in your life? 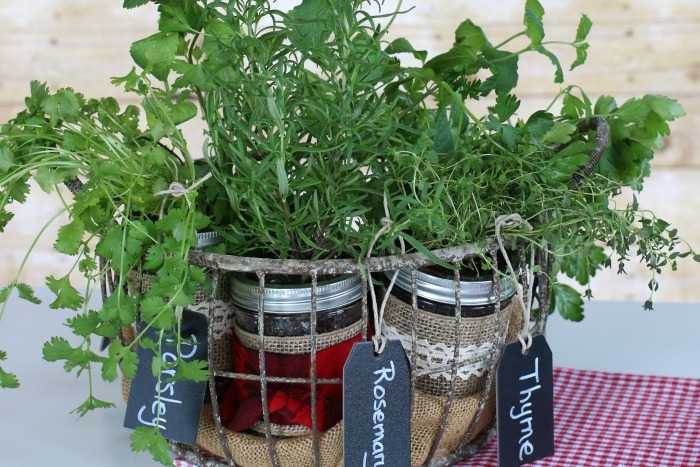 I bet they would love this Mason Jar Herb Garden. Or maybe a Gardening Tool Bucket with DIY Cover for the gardener in your life. Put together a set of experiences and add them to a box or basket. The ideas are endless! 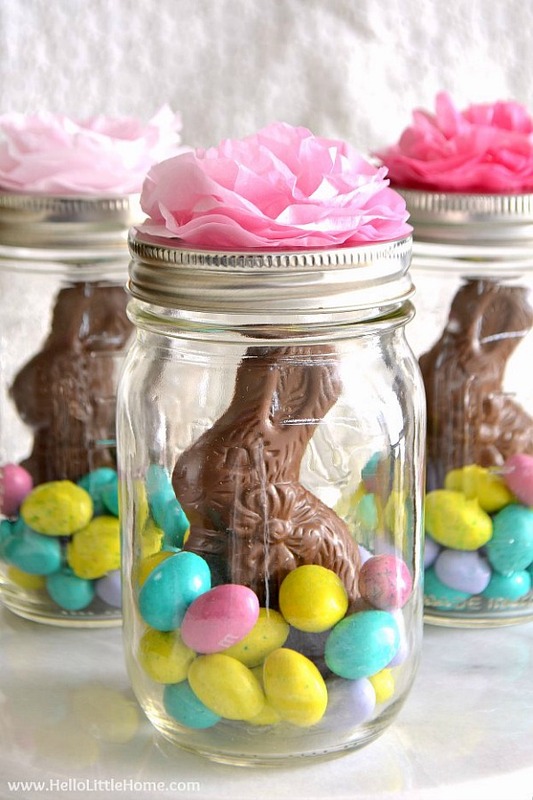 These adorable mason jars are quick and easy to put together. Learn how from Hello Little Home. Fill a basket with these easy to make heat packs, a movie and snacks for that hard to buy for male in your life. Love this Kiddie Pool, if my boys were younger, I would definitely do this. 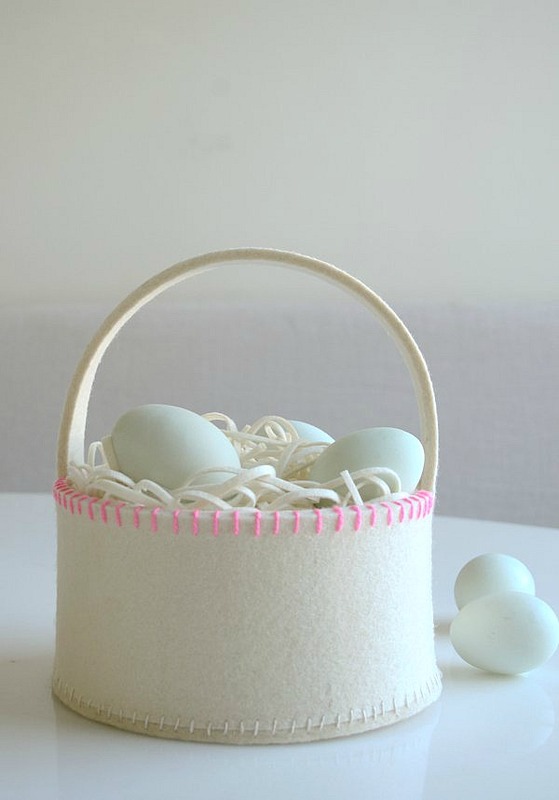 Make your own felt basket and create fun Easter baskets. Purl Soho shows you how to make them. And let’s not forget the Tweens – that tough age that still want to receive and Easter basket, but are also want to act grown up. 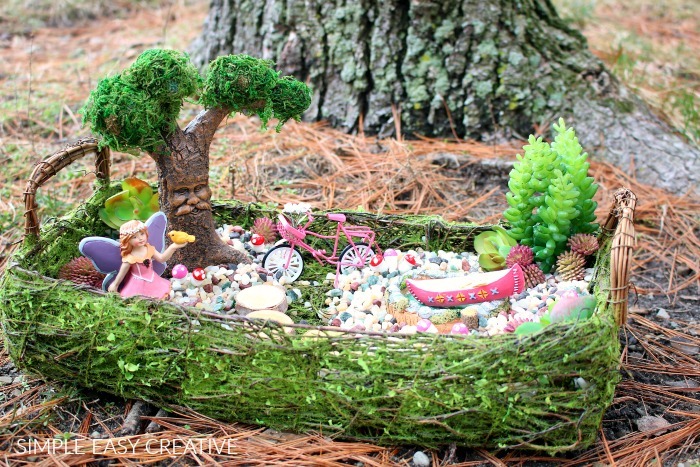 Put together a Fairy Garden – or get the supplies and let them create their own. Do you have a football fan in your home? 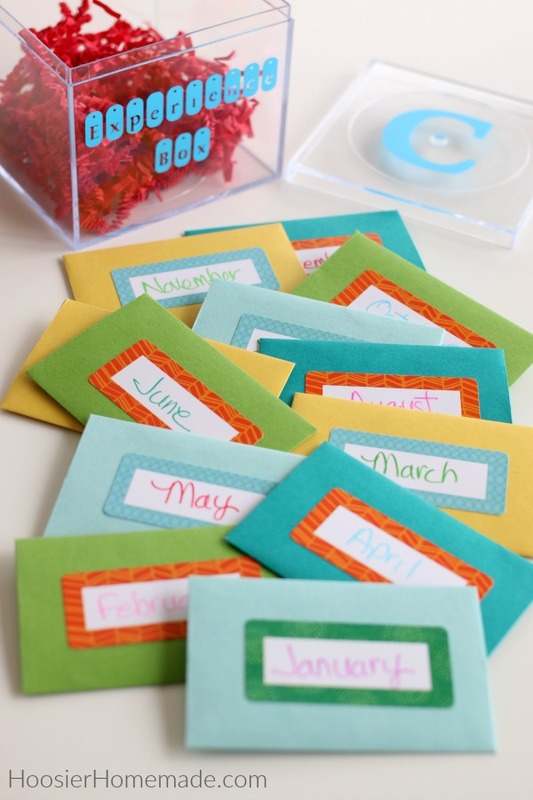 This is a cute idea from Fun Squared. 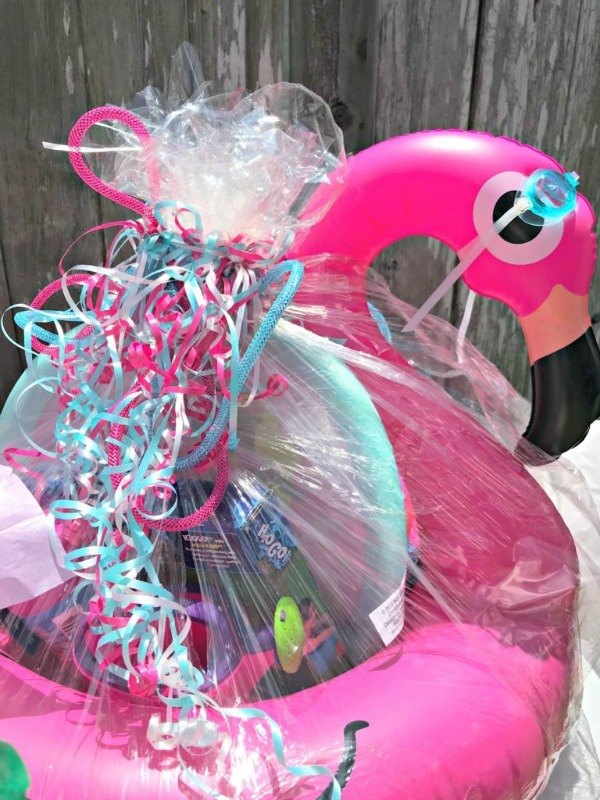 And this Unicorn Easter Basket from The Keeper of the Cheerios is fun to make – and give! These fun ideas from Uncommon Designs are sure to make your tweens happy. And this fun little basket from Cupcakes and Cashmere goes together quickly. 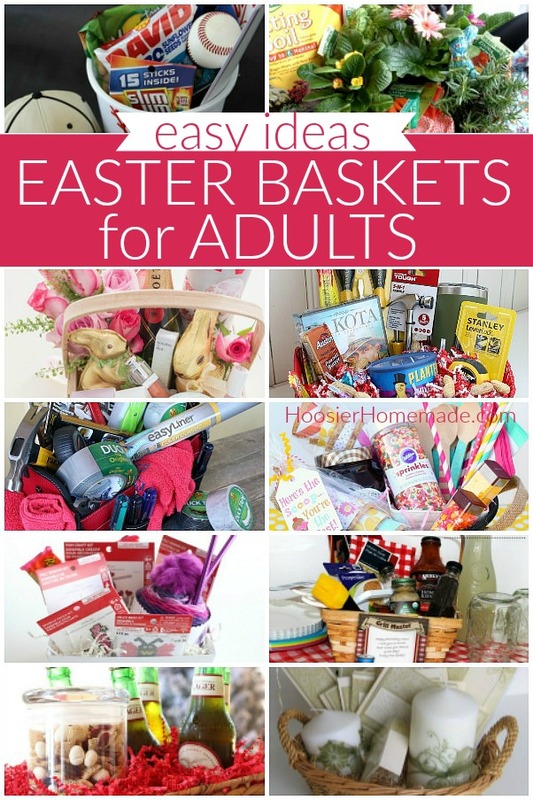 Need even more Easter Basket Ideas? 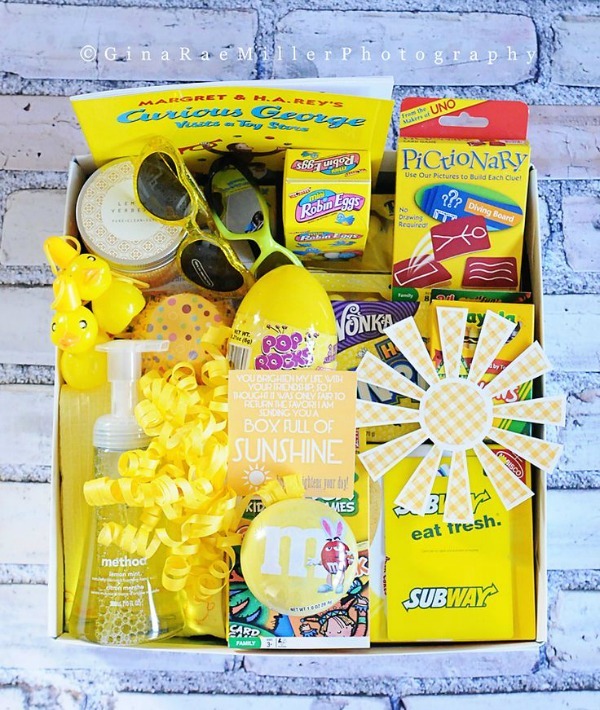 Check out these Themed Easter Baskets! These are so beautiful & informative article. Just brilliant. Thanks for your great info. Keep this up. 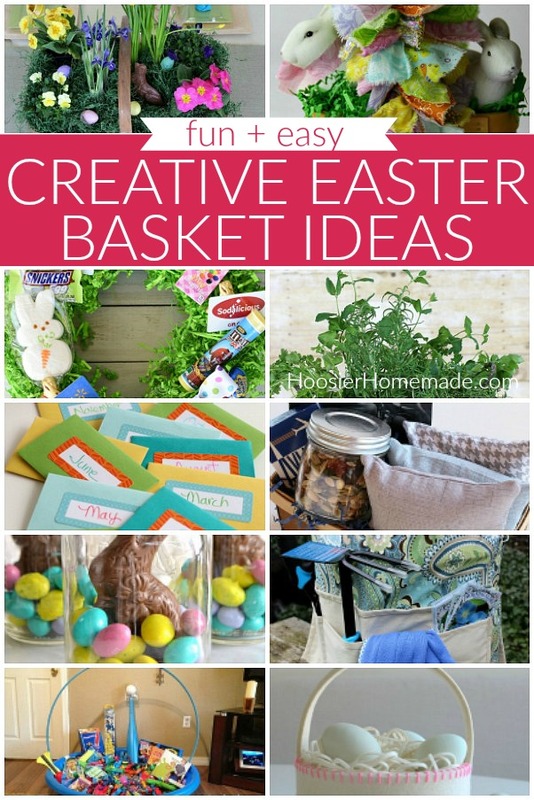 I am loving all of these basket ideas. They are so fun and great for all ages. Thanks Becky! So glad you like them! 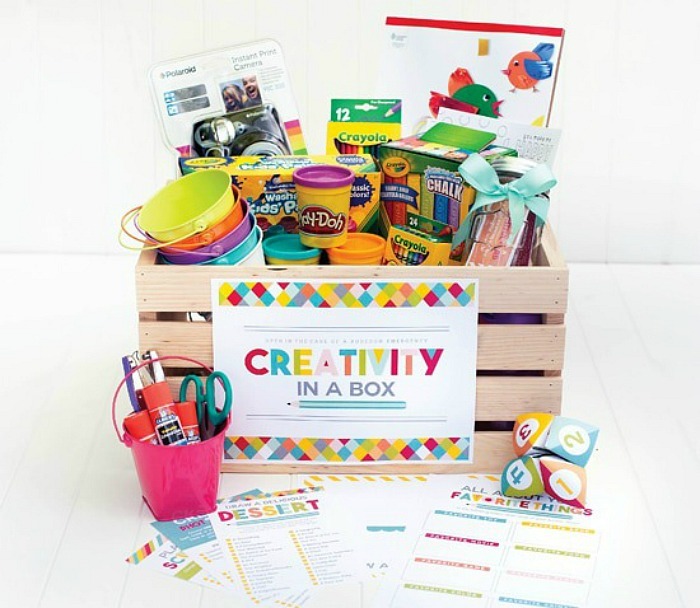 These are such fun ideas, you are so creative! 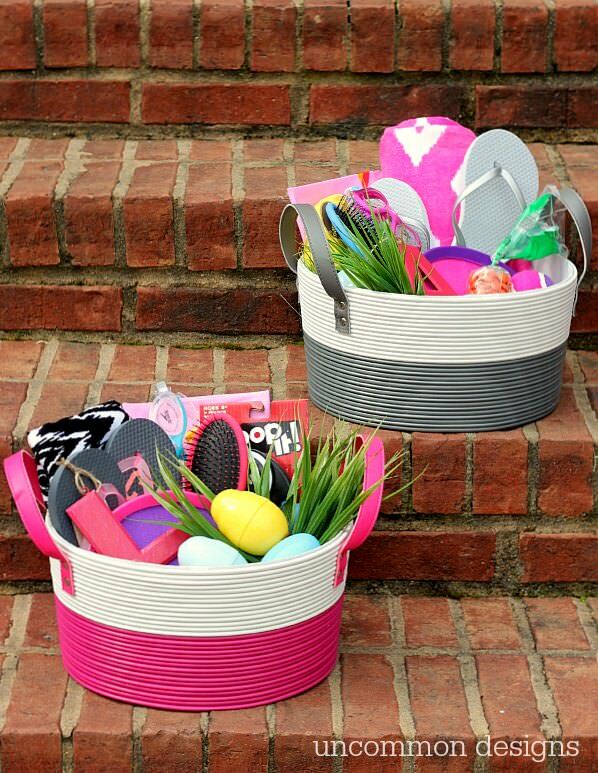 These Easter basket ideas are so cute!! Thanks Courtney! It’s definitely fun putting together Easter baskets! Thanks! It was fun finding all the ideas! These are all so stinking cute! I am definetley doing one of the dump truck ones for my boys!